CSS supported EPA Region VI as a member of the Columbia Shuttle Recovery team in an extensive effort to retrieve shuttle debris. CSS provided quick response to the recovery areas with staff working 7 days a week and up to 16 hours per day. 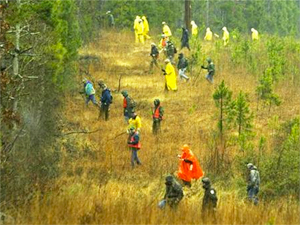 The dedicated staff covered up to 12 miles by foot each day in the search area. CSS's experience with EPA sampling protocols was crucial in supplying staff in the field who knew the proper methods of evidence collection and electronic data storage. CSS committed 23 staff members for this assignment.